Strategies to know your worth! When negotiating a salary focus on facts not feelings. A strategy is the best way to get what you want. Our In-house Salary Negotiation expert Jacqueline Twillie will share strategies that will position you become savvy and confident in asking for higher pay. 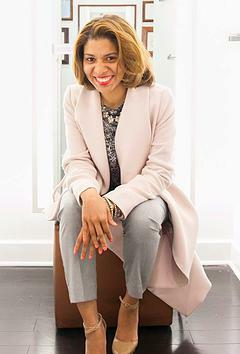 Jacqueline Twillie holds an M.B.A. in Leadership, is the Founder and President of ZeroGap.co, a leading training, and development firm with specialties in women's leadership programming. Jacqueline is the Amazon Best Selling Author of Navigating The Career Jungle. Her mission is to get eliminate the gender wage gap by focusing on ways to increase women in leadership roles in male-dominated industries. Jacqueline's leadership advice has been featured in Forbes, FastCo, Essence Now, Black Enterprise, Parade, Today.com, and more.. Schedule a Coaching Session to go over how you're learning is progressing and receive additional support.